The areas only locally owned and operated independant full line music store. Roadhouse Music in Middlefield, Ohio was established in 2003. We continually strive to be the best music store we can be. Customer satisfaction, great products, and competitive pricing keep us head and shoulders above the rest. 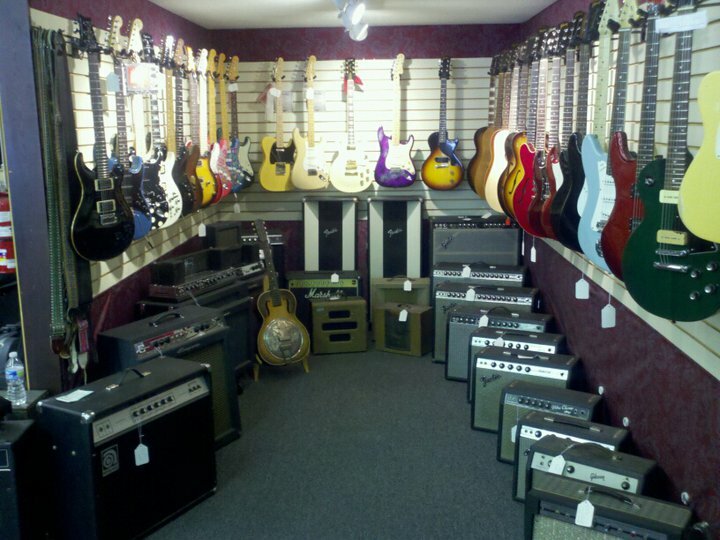 Stop by and see why people call us ‘The biggest little music store” there is! We average a stock of about 200 guitars and basses in stock at anytme. New, used, and vintage gear fills every nook and cranny! If you don’t see it on the floor, just ask, we may have it lurking in the back…. We offer more then just guitars and amplifiers! Drums, PA Gear, Accesories, Band Instruments, Printed Music, Effects, Banjos, Mandolins, and a whole lot more! Two full service repair shops IN HOUSE for Guitars, Amplifiers, Sound Boards, Band Instruments, effects and pedals, and more! Some sections of the website are up and running. Please feel free to take a look around…. More will be added as keep on plugging away at it!! Thanks for your patience and patronage!! New page under construction… bear with us!! For now like us on Facebook!